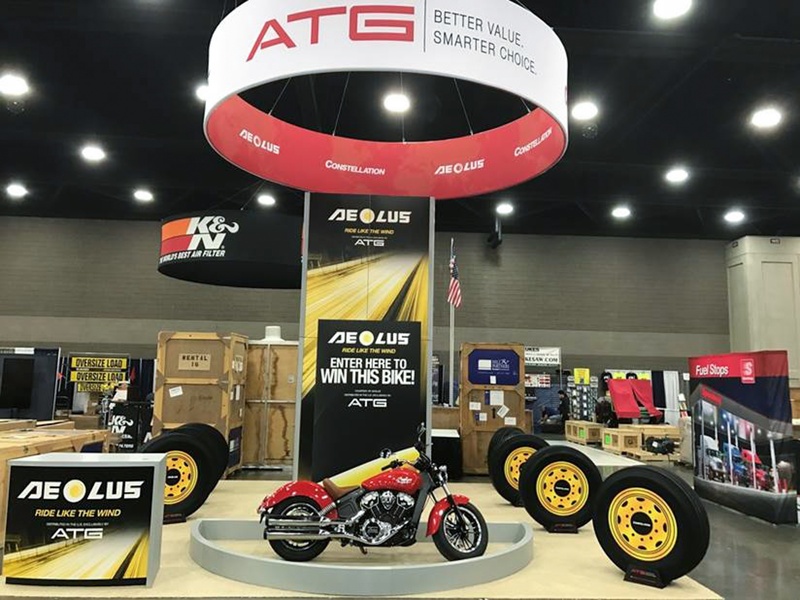 Alliance Tire Americas, is revving up its booth at the Mid-America Trucking Show (MATS) with the launch of the Aeolus Ride Like the Wind sweepstakes. The Grand Prize winner, drawn in September of 2017, will walk away with a new Indian Scout motorcycle—runners-up can win iPads and Yeti coolers. With the Aeolus brand, ATA fulfills its commitment to providing a full selection of OTR and MRT tires for its customers, Hull notes. “With the recent reversal of government duty cases, we expect to have a steady supply of Aeolus’ excellent-quality, competitively priced truck tires for every segment of the U.S. trucking industry, and we’re delighted to be Aeolus’ exclusive distributor,“ he says. The Alliance booth at MATS—Booth 12100—will feature three Smartway-verified Aeolus truck tires—the HN308+ premium closed-shoulder drive tire, ASL67 premium steer and HN808 premium line haul trailer tire, as well as a selection of ATGs recently-launched Constellation brand truck tires. Barry has been in marketing and public relations for more than 20 years, working with companies like Travelocity, Weight Watchers, Weider Nutrition and many others to communicate product benefits to customers around the world. Since joining Alliance Tire he is working to develop an intimate knowledge of the agriculture, construction and forestry markets by getting out on the road and meeting customers wherever possible. He is a marketing strategist with experience developing, managing and evaluating programs that drive traffic, lead acquisition and nurturing, and sales. When he’s not out at a tractor pull or at a customer show, Barry is headquartered in Wakefield, MA and he spends his off hours with his family, trying to get to the mountains for a hike or camping, or hitting the gym.